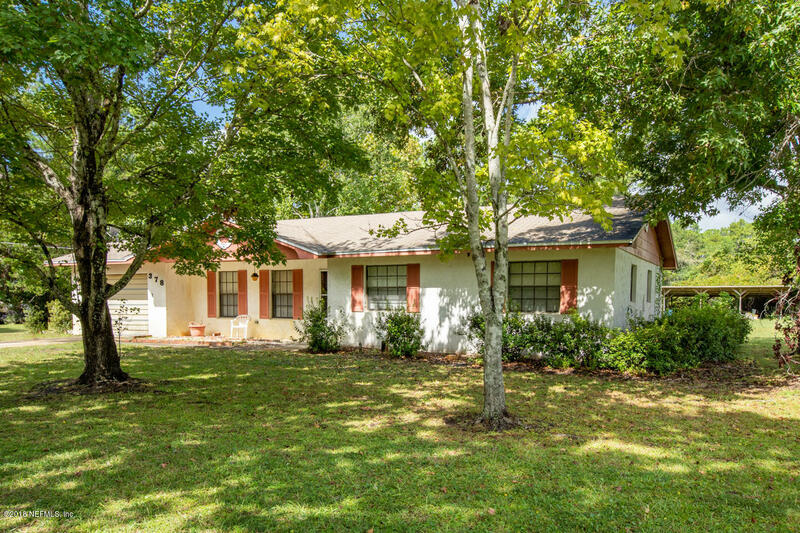 Don't' miss out on this property! 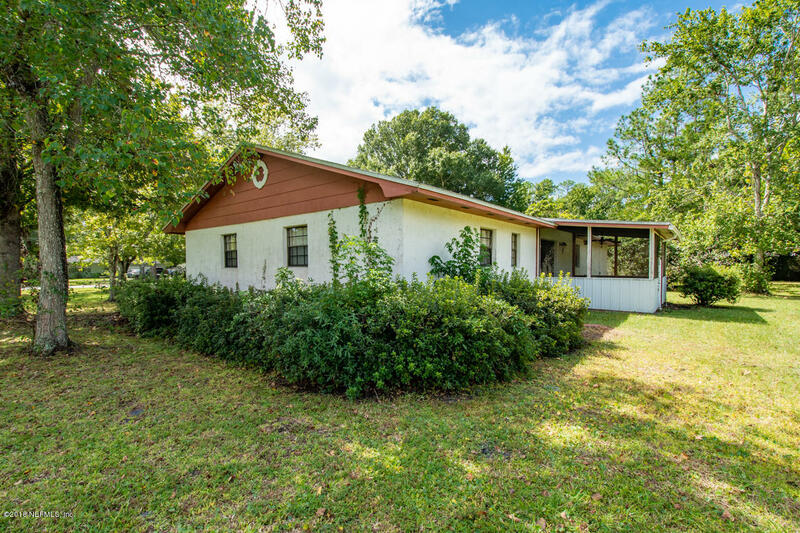 Here is your chance to live on your own 1.43 acres with 3BR/2BA home w/garage and a 3-stall pole barn. Home features an open floor plan with screened porch. 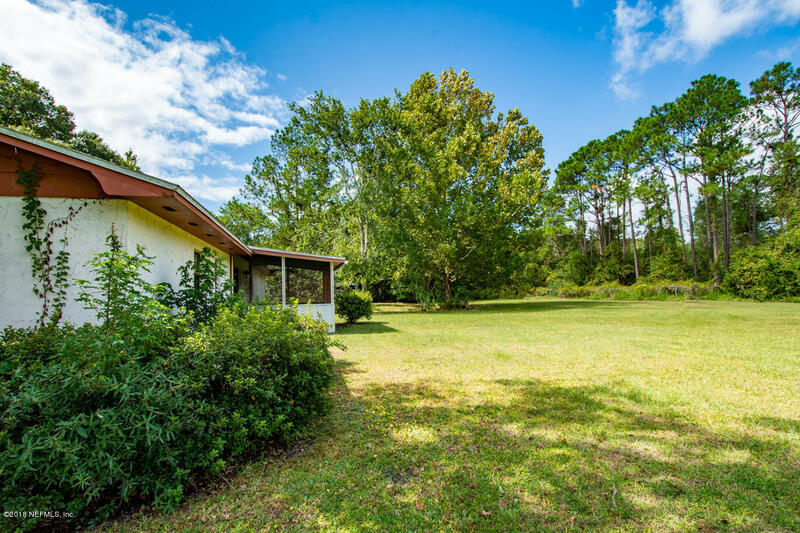 What could be better than a concrete block home with NO HOA OR CDD FEES. Bring some new carpet and paint and enjoy affordable home ownership. 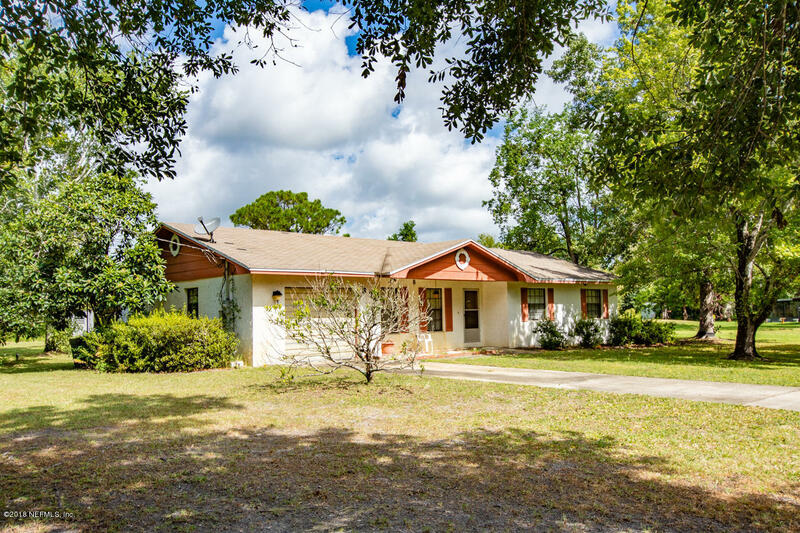 Close to I-95, US1, beaches, outlet malls and historic downtown St Augustine, close to St. Johns River State College. West on SR16; turn left onto Circle Drive at Anastasia Baptist Church; turn right onto Circle Drive North; home is on right. 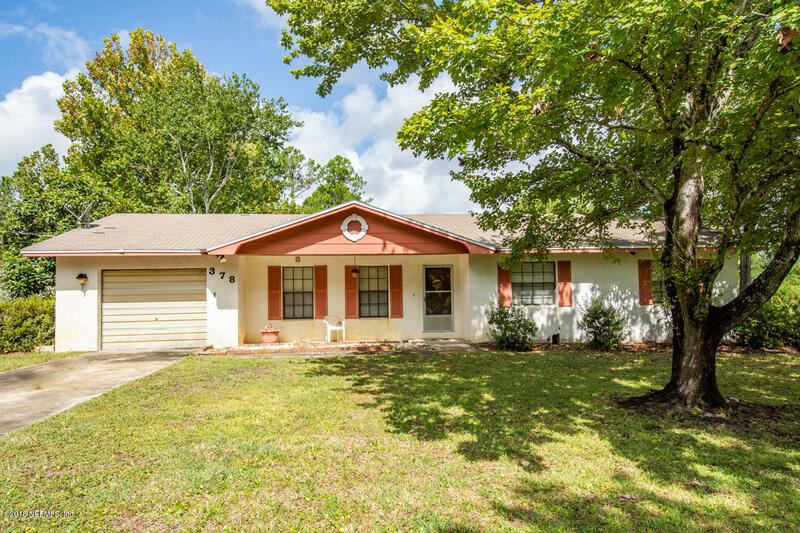 378 Circle Dr is a 1,326 (*estimated) square foot home with 3 bedrooms and 2 bathrooms located in St Augustine FL, ST. JOHNS County. 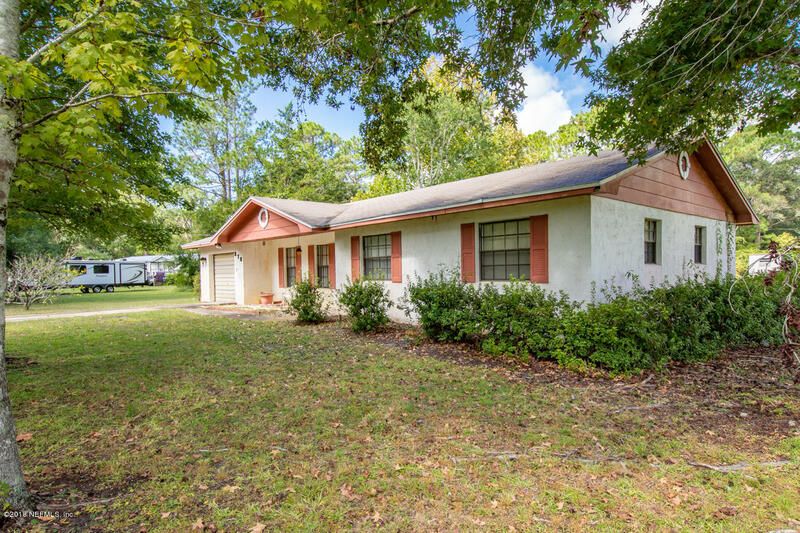 This property is listed for sale at $229,000 and is currently active and accepting offers.